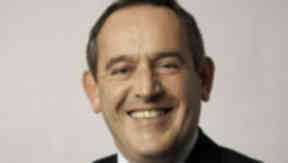 Election 2010: Incumbent SNP MP Stewart Hosie has been re-elected for Dundee East. SNP's Stewat Hosie has been re-elected as MP for Dundee East, retaining the seat he won in 2005 from Labour. The area is an electoral battleground for Labour and SNP. Mr Hosie is married to SNP MSP Shona Robison. They have one daughter. He was born in Dundee, and attended Carnoustie High School and Bell Street Tech - now Abertay University - where he achieved an HD in Computer Studies. He has worked in IT/IS for 20 years and ran his own business. He was the SNP's first Youth Convener and was the Party’s National Secretary for four years. He then held office as the party’s Organisation Convener. Mr Hosie is currently Deputy Leader and Chief Whip of the SNP’s Westminster group and SNP Spokesperson for the Treasury and Economy.